You may access your WordPress Hosting files by connecting to SSH/SFTP through an FTP Client. 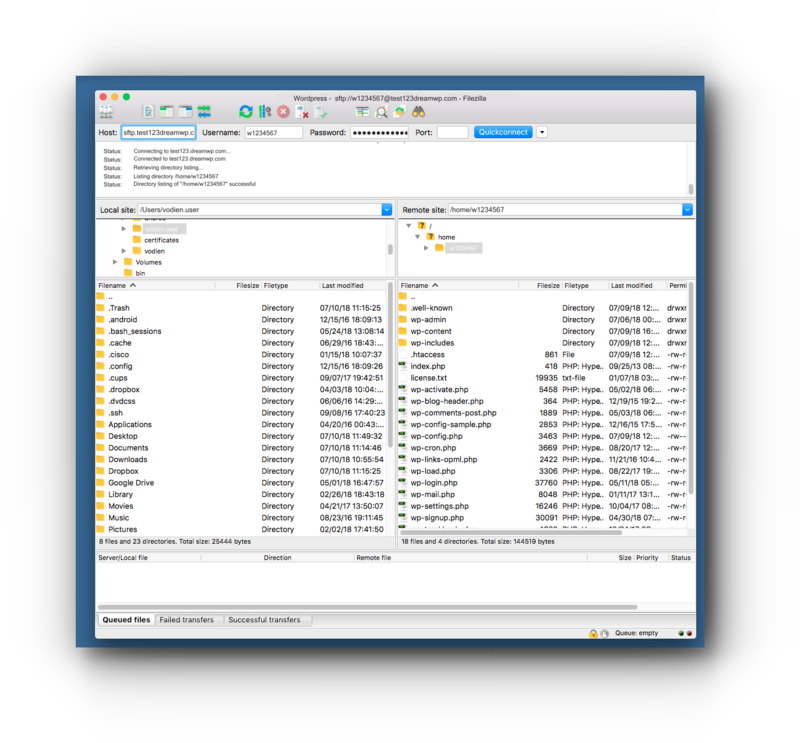 The example below is using FileZilla Mac. Step 1. Take note of your WordPress SFTP credentials. Click on the Site Manager icon. Step 4. Enter the hostname. Step 6. 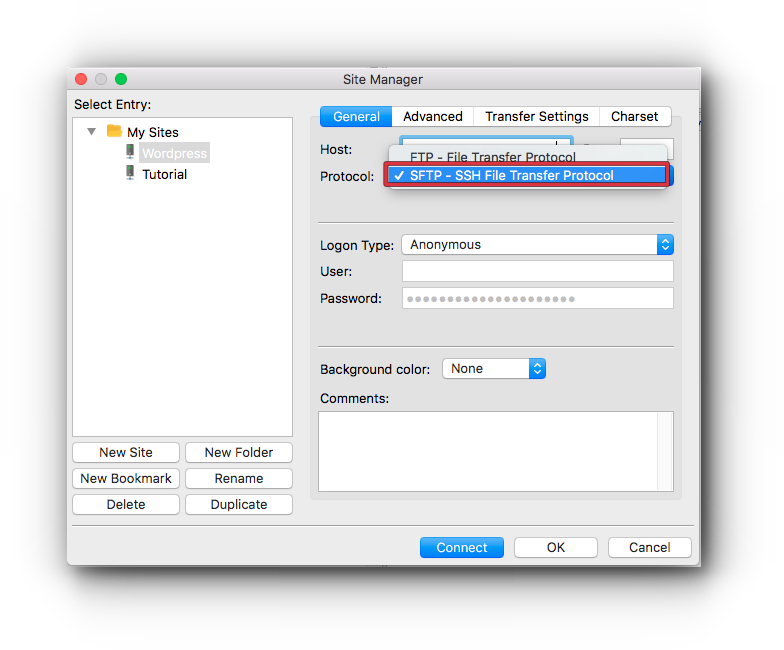 Under Protocol type, select SFTP – SSH File Transfer Protocol. Step 7. Enter the username. Step 8. 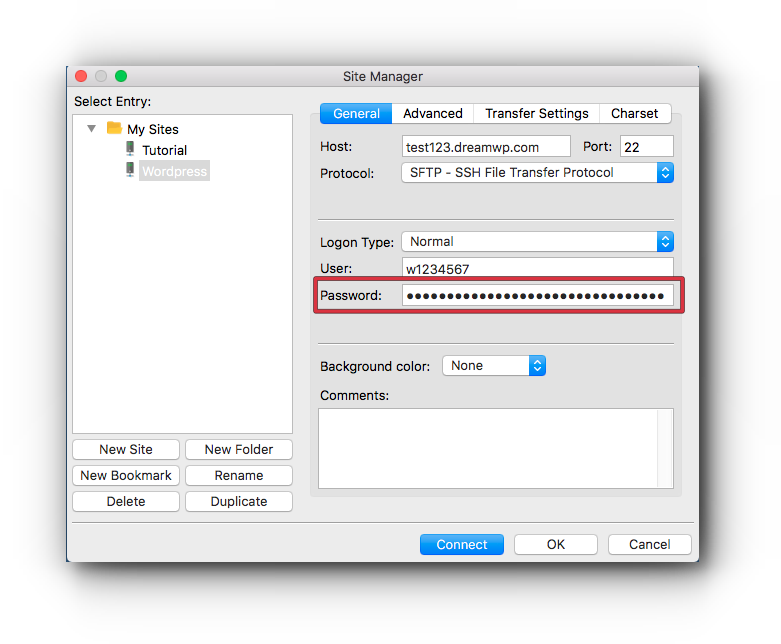 Enter SFTP password. Step 9. Click Connect button. You will be able to access your WordPress files which are located in the Remote site.